The WWE Divas came to see us last night for dinner and Ladies Night! 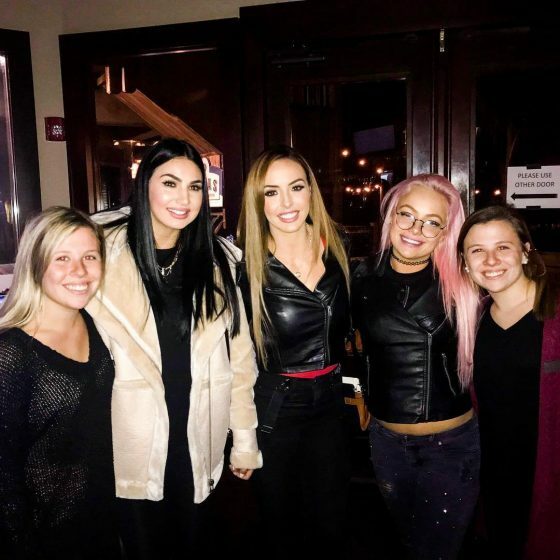 Pictured left to right “The IIconics” ( Billie Kay and Peyton Royce ) and Liv Morgan. Pictured here with our favorite Fish House Divas, Molly and Georgia! Thanks for stopping by!